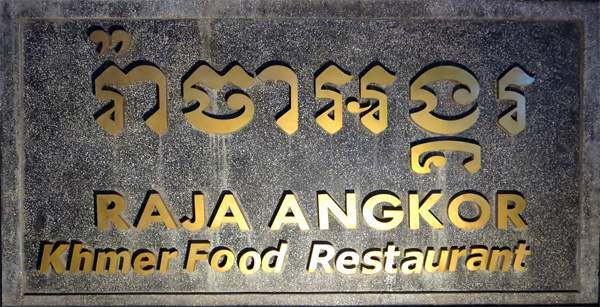 Raja Angkor. 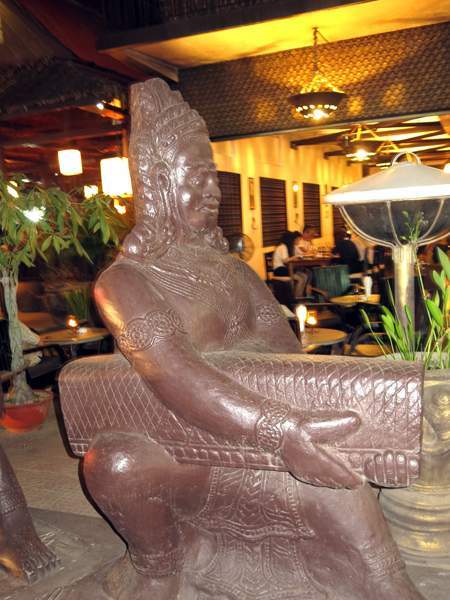 The King of the Siem Reap Restaurant chain. 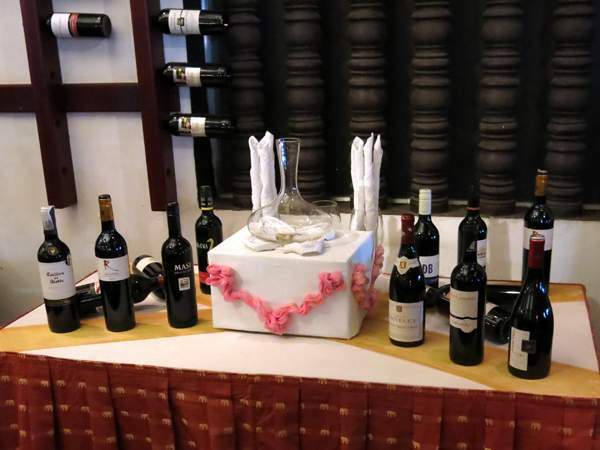 Here you can enjoy fine dining and bar-be-cue food at the same time. Our nine course tasting menu should be savoured to be believed. And our fresh food offered on our bar-be-cue are a treat not to be missed. Come and sit in the relaxing surroundings. Watch the water play in our pool or listen to the Khmer music. You’re out of the rush of the city for one meal and why not enjoy it? 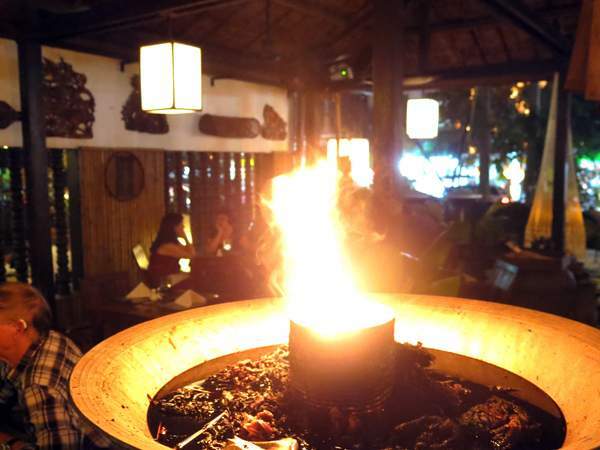 The flames flicker in our atmospheric Khmer hut, or dine indoors in our fine dining room. The choice is yours.